This just in: Our first national paper! 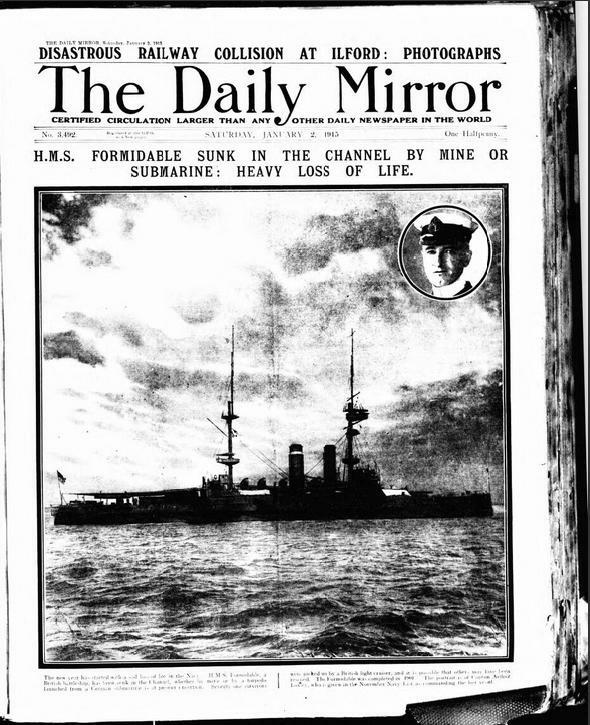 The Daily Mirror is the first nation publication to be included our burgeoning newspaper collection. Though initially conceived as a paper created by women, for women, the Mirror’s direction was amended within a year to encompass a broader public focus. Add to that a price drop and more pictures, and the Mirror’s popularity soared, remaining a top breakfast reading choice to this day. There are now over eight million pages online, with more added every week. We’ve just added our first national publication… and there are more to come! You can explore over 200 years of history, spanning from 1710-1954. That’s nearly 90,000 days of history! You never know who might pop up in these pages. It’s not uncommon to find a relative photographed in a local paper – or uncover some accomplishment or noteworthy deed you hadn’t been aware of before. Family rumours might find their proof in these pages. Scandals, suicides, attacks, and affairs were all printed without qualms, and you might discover the truth behind those Chinese whispers. You’ll learn more about your ancestors’ lives. What was the major news of the day? What were the popular fashions? Knowing more about the world your family lived in can add a whole new layer of colour to your investigations. You might already have access to them! The newspapers are available to search at The British Newspaper Archive and findmypast. So if you have a Britain or World subscription, you’ll already have access to this wonderful resource.